HomeNew CarsFord CarsFord EcoSportFord Ecosport FAQsWhich is better Ford Ecosport petrol or Ford Ecosport diesel? Which is better Ford Ecosport petrol or Ford Ecosport diesel? The choice of whether to opt for petrol or diesel depends on the commute you will be doing in your car. 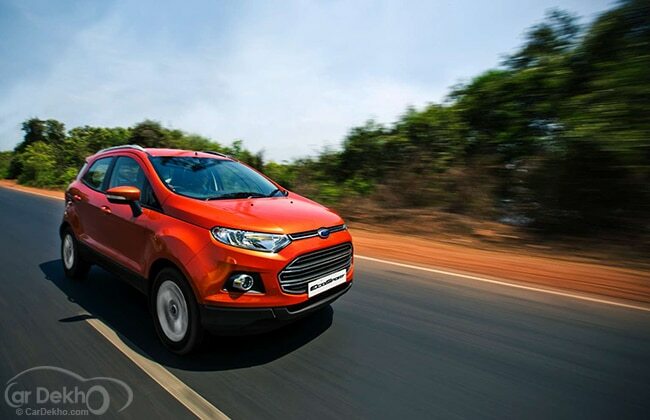 If your running is more than 50 kilometers per day it is better to opt for the diesel Ford Ecosport otherwise it will be better to turn to the petrol variant.